Do I Need an Eye Exam to Get Eyeglasses? If you wear eyeglasses, it is important to wear lenses that accurately correct your specific refractive error. Basic vision tests at frame stores are not sophisticated enough to detect subtle changes in your eye health or vision, so it is important to schedule regular eye exams with an actual optometrist. Our eye doctor in Arlington will use precise equipment to determine your current eyewear needs in each eye. Do You Customize Prescription Eyeglasses? 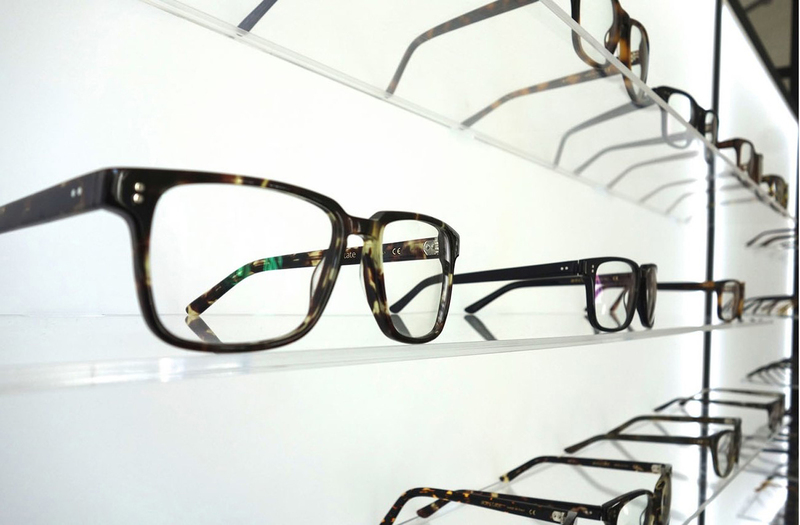 Our Arlington optical center is fully equipped to customize your frames on-site. Thanks to our state-of-the-art edger, Mr. Blue, we can handle the entire lens cutting and lens fitting process at our Arlington optical center. After you receive your vision test results and pick out your eyeglasses, we will cut and fit corrective lenses that match your prescription and fit your new frames perfectly. How Long is the Wait for Custom Eyeglasses? It is important to update your lenses as soon as your vision changes because the wrong prescription can cause eye strain, headaches, blurry vision, and even further vision loss. Fortunately, Mr. Blue makes it easy to make quick, accurate cuts at our optical center. Most customizations take about an hour, so you shouldn't have to wait long for your new pair of glasses. Our Arlington eye doctor tries not to send anyone home with an outdated prescription. What Designer Frames Do You Offer? Your eyewear should improve your vision and your look. At Insight Vision, we have teamed up with world-class designers and manufacturers to keep our inventory stocked with flattering designer frames. Our available styles include classic, timeless styles such as round metal frames, as well as innovative designs such as colorful, lightweight plastic frames and throwback shapes. Do You Offer Prescription Sunglasses in Arlington? At Insight Vision, our custom lenses do more than correct refractive errors. Because UV damage leads to vision loss, we also offer lenses with UV protection to maintain your eye health. Sunglasses are an important part of your everyday eye care regimen, so we use Mr. Blue to customize prescription tinted lenses too. Come browse our Arlington optical shop and pick out your next pair of prescription sunglasses. How Do I Avoid Glares and Damage? Sometimes, too much Texas sunshine can cause bright and debilitating glares for glasses wearers. We want to protect your eyes and your eyeglasses, so our customization options include special protective lens coatings. These coatings help reduce glares and resist scratches and scuffs, prolonging the life of your lenses. Protect your eyewear investment with a custom lens coating. Do you need new glasses? 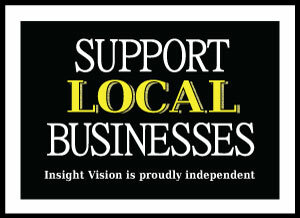 Schedule your next eye exam at Insight Vision. Call 817-861-2020 to make an appointment with our eye doctor in Arlington, TX.